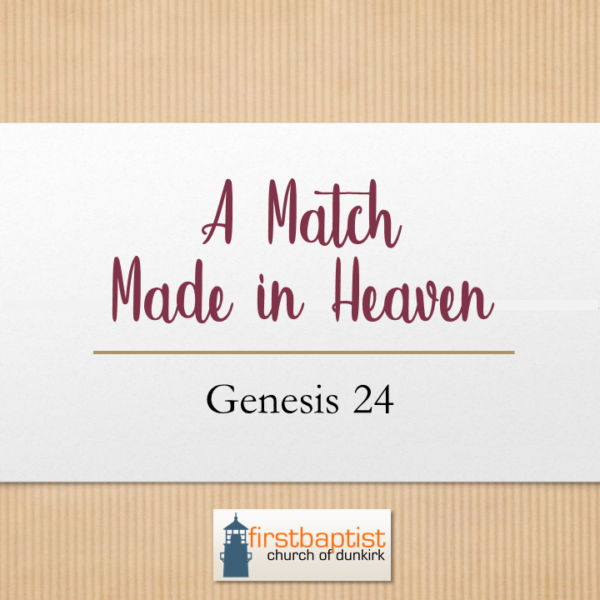 The story of Isaac and Rebekah coming together is a beautiful love story where a young girl in a far off land is promised a home, wealth, and a husband. God’s redemption plan from the beginning of time, is to save us from this far off land and bring us home to His great riches and glory in heaven. Maybe you haven’t experienced the perfect love story or you’ve been hurt too many times in relationships to trust anyone again. God’s love for you is perfect. It accepts you right where you are. It is unconditional. It is forgiving. It wants only the best for you. If you hear and understand this invitation, The Holy Spirit, is calling you to trust Him and accept God’s gift of His Son, Jesus Christ who died for you and lives again to offer you a new life with Him and an ultimate home for eternity. You are loved by God and He invites you into a relationship with Him. Will you say “yes” today? Come talk to me after the service if you’re ready. Believers, we are God’s servants who, with the help of the Holy Spirit, are called to invite others to the wedding feast. All are welcome and we should be going into the highways and side streets to share that invitation. Don’t come to the wedding alone – Bring some guests with you!